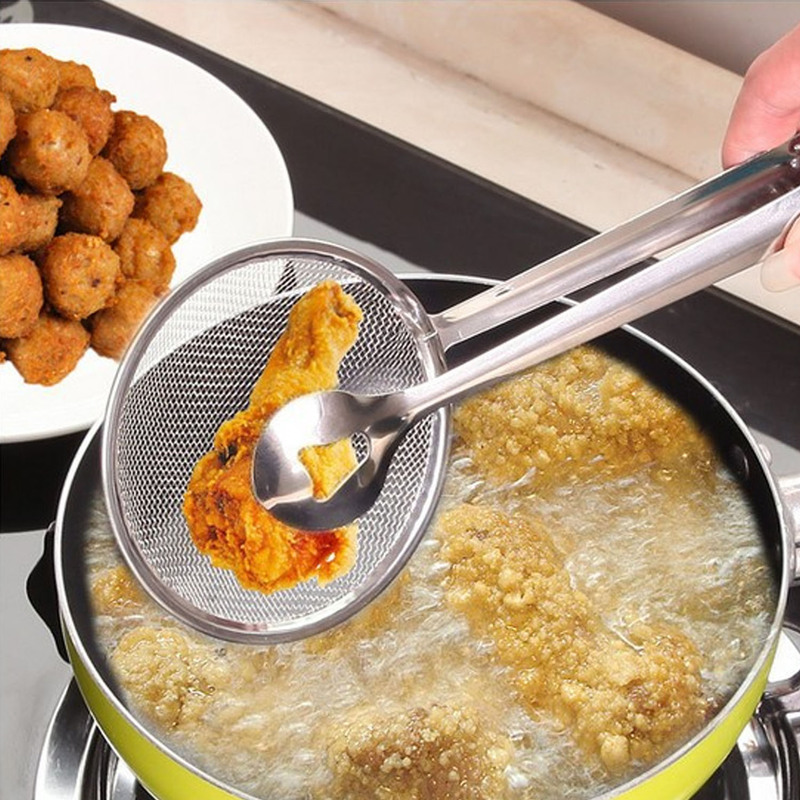 This amazing gadget is a sieve spoon, but with a unique design. 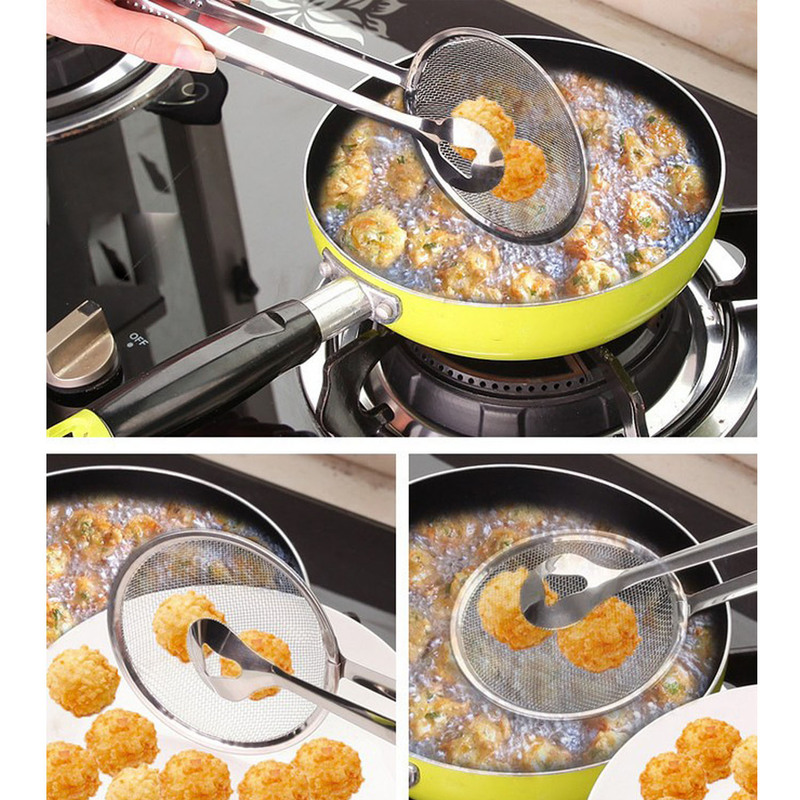 With a strainer on one side, it can filter out the cooking oil and firmly grip the food at the same time. 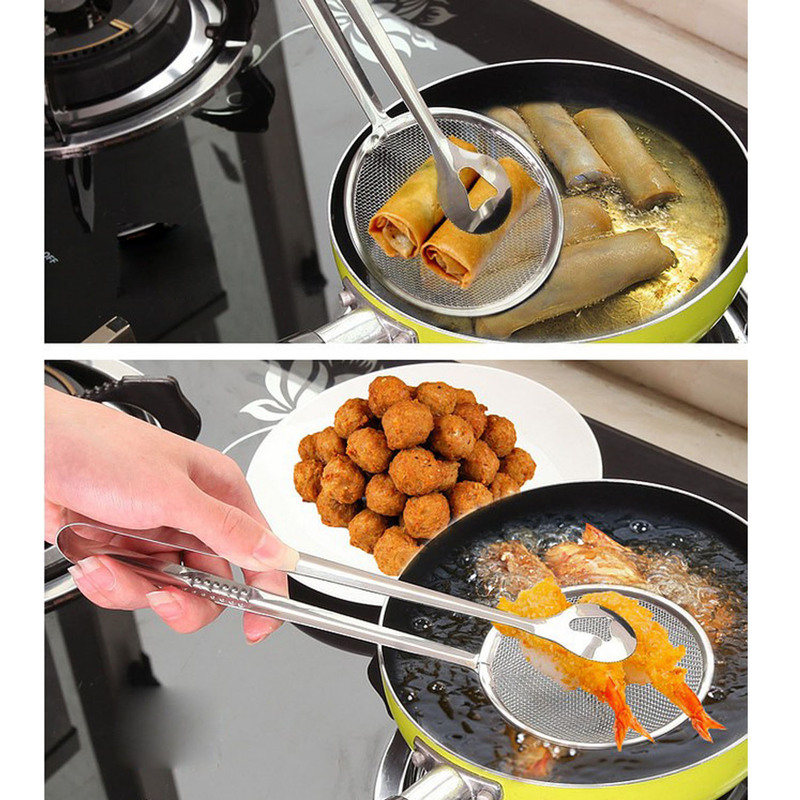 Light and durable handle for easy handling, great for fish & chips or any other deep-fried dish.